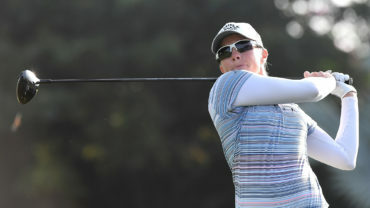 DURBAN, South Africa – Dawie van der Walt shot a 4-under 66 Saturday to win the Nelson Mandela Championship by two shots, giving the tournament a South African victory in a week when the country bids farewell to its former president. Van der Walt finished with a three-round total of 15-under 195 as the sun eventually shone on the final day of the rain-shortened event. It was his second European Tour victory. 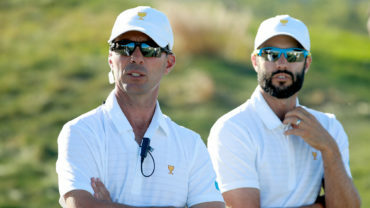 England’s Matthew Baldwin (68) and Spain’s Jorge Campillo (68) were tied for second. Even before the rain disrupted the first two days, organizers had changed the schedule ensure the tournament didn’t run over into Sunday out of respect for the state funeral of Mandela, the South African anti-apartheid leader who died last week. 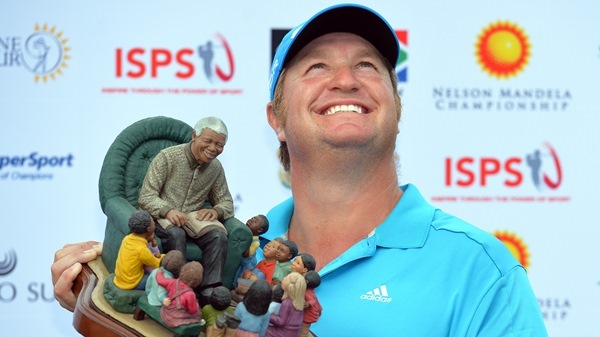 Van der Walt lifted a trophy that depicts an image of Mandela surrounded by children and also won a painting bearing the signature of South Africa’s most famous figure. The tournament donated money to one of Mandela’s charities, a children’s hospital that bears his name. Englishman Daniel Brooks had held a three-shot lead after the second round in Durban, which was only completed earlier Saturday because of the weather delays. But he struggled with five bogeys and a double bogey in his final-round 76. Van der Walt, who was tied for second heading to the final 18 holes, made five birdies and an eagle to go with three bogeys on the Mount Edgecombe course. He recovered from his third bogey at No. 11 by making eagle at No. 12 and birdie at No. 13. The South African also caught a break on the par-5 No. 14 when a shot heading toward the rough took a favorable bounce. 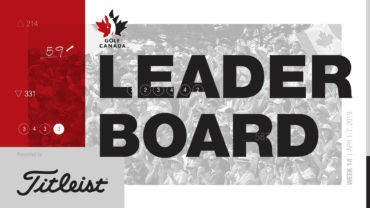 Neither Baldwin nor Campillo could apply enough pressure in the final stretch, with Baldwin making just one birdie in his last 11 and Campillo dropping a crucial shot at No. 15. Campillo and Colin Nel on Friday became the first players to shoot 59s in a European Tour event, although their scores don’t count as records because players were given preferred lies on the rain-soaked course. France’s Romain Wattel was alone in fourth at 12 under and South Africa’s Oliver Bekker fifth. American John Hahn finished in a four-way tie for sixth alongside four-time European Tour winner Branden Grace.